Seeing this picture today warmed the cockles of my heart, brought a huge smile on my face and sent me down memory lane. The girl in the striped Tshirt is none other than our darling Kiran! 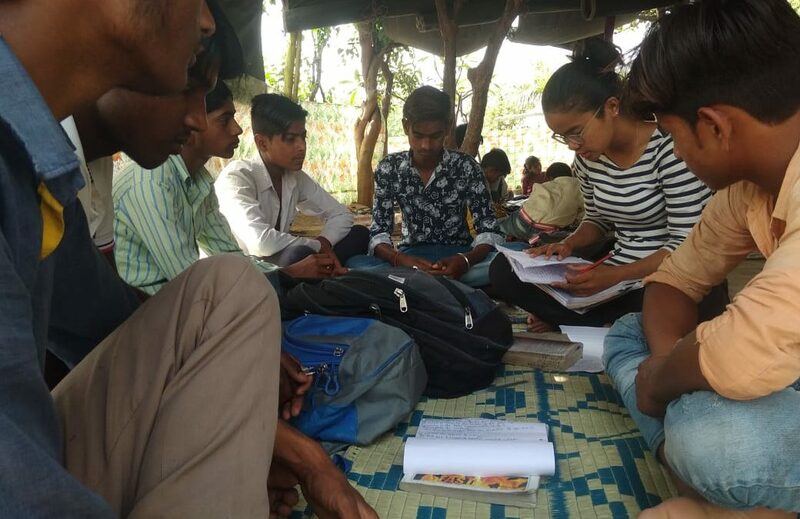 She has just finished writing her class XII examinations and while waiting for the results is ‘volunteering’ at our Yamuna centre where she teaches English to children of all classes. She is a diligent and committed teacher, what else would she be? Kiran has always been a serious child, way beyond her age and my companion in arms in the early project why years. She was born the year we began Project Why. I actually held her in my arms when she was just a few days old. A year or so later she would be joined by Utpal and the three of us would be inseparable. The fact that she was born on my mother’s birthday gave her the right to call me Anou! Kiran was always a serious and quiet child, who would surprise you by her mature almost adult ways. As a child her preferred drink was a ginger ale! She was to the manor born and a pleasure to be with. In those days I would tuck Kiran on one hip and Uptal on the other and set off on many expeditions. They both joined the same play school and it was my duty to fetch them at noon. Then the three of us would swing by the momo shop (momos were rare in those days) and gorge ourselves before heading back. Once when we were walking to Project Why we passed by mounds of food thrown on the ground after a wedding party. Kiran looked upset and looked up at me and said: they could have fed it to the cows! When it was time to admit her to school, we all lived the ‘admission nightmare’ together and I could understand first hand what millions of parents went through each year! Kiran’s favourite class at Project Why was always the special needs section. From a very young age she warmed up to these very special kids who became her friends and each summer she would spend her holidays ‘volunteering’ in that class. And each summer holiday homework was a bane we had to live with together. 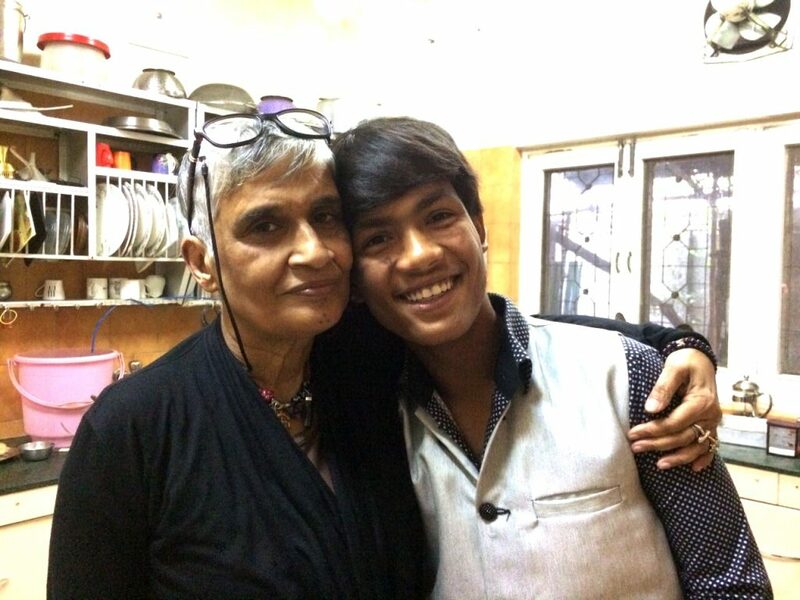 When Utpal went to boarding school at the age of 4, she was heart broken. She made it a point to come to every PTM as she missed her little soul mate. She was over the moon when we decided to send her to the same boarding school as her pal after she completed her class X. They spent two great years together. Next month she will get her results and decide what she wants to opt for as a career. I know that she will shine in whatever she chooses to do as she is an extremely bright child who can withstand all challenges and find her place in the sun. She is our little ray of sunshine. Follow us along on Facebook, Twitter and Instagram and we will follow you back. Let us take a few steps together on this journey of education and empowerment. My friend and supporter Damyanti Biswas has asked to be a guest on her blog every second Friday of the month. The first post was up last week and was entitled When at the Edge of a Precipice, What Gives You the Courage to Go on? 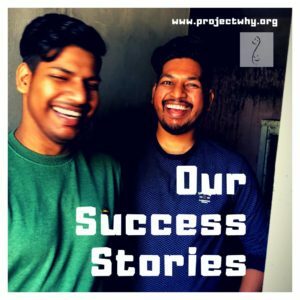 It talks about Project Why and how over the years we have been faced with obstacles and challenges and come out of it each time simply because we never gave up. It makes me ask myself whether courage was something I always had in me, or whether, as much else in my life, it was something Project Why gifted me. The answer is undoubtedly the later. True I had in my life before Project Why shown the ability to overcome fears, but the courage I refer to today is the one that makes you stand for your beliefs without wavering, in the face of all adversity, and know you have to go on no matter what. You can call it crossroads, or standing at the edge of a precipice and knowing you have to jump even if you do not have a parachute. You just have to create your own. In the twenty years of running Project Why I have found myself in this position many times and each and every time found the courage to carry on. I have lost count of the number of instances when the reasonable option was to stop and even walk away. For me that was never an alternative. And that is how we grew from a small family of two scores to one off over thousand members; that is how scores of broken hearts were repaired and moribund children given the hope of life; that is how every challenge was met and solutions found. Today I ask myself where did I draw the strength and find that ‘courage’ in spite of so many setbacks. Or let me take it a step further: was it really courage or as someone said the fear of falling! I do not know. Maybe it was/is the fear of facing myself on judgement day if such a day exists. There was no alternative. And the ‘courage’ – let us call it that – came and comes from all the souls who have entrusted me with their dreams. Every child that enters the portal of Project Why does so with the hope of changing its life. It is a pact we make and each has to stand by it. And to do that means not to give up. Today I am again at the edge of a precipice. Project Why is on life support with some centres only funded for a few months. We now need to look for people willing to support our work long time. It is daunting indeed but we have the courage to continue! Last week I celebrated my 67th! 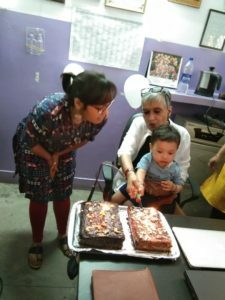 I had made no special plans barring a small celebration at home with the family and two friends. A day before I was asked if I would visit the Project the next day and I said I would try to. The request to visit came from all centres and everyone was so insistent that I had no option but to say yes. I woke up early as I normally do and was pleasantly surprised to see birthday messages both on my phone and on Facebook! The first one I saw was from Utpal, sent at the dot of midnight from my home as he had taken leave from school to be with me on this day. I was touched by the number of people who had sent loving messages from across the world. Before Project Why I barely got a few calls as the recluse I had become after the demise of my parents had but a handful of people to remember my birthday. But here I was today, flooded with messages from New Zealand to the west coast in the US via every country I could think of. I was overwhelmed. The only child today had a family as large as the planet! After having answered some messages I set out to visit Project Why as promised. First stop was Govindpuri. I had barely entered when I was greeted by a loud Happy Birthday from our one and only Seema. I walked up the stairs and entered the creche where the children were ready to sing for me. I felt choked with emotion and sat down to catch my breath. It was then time to move up to the office where I was greeted by balloons and a loud happy birthday from all the teachers of the centre. There was a cake, and presents, and flowers everything that makes a birthday special. We chatted for a while and then it was time to move to the next destination: Khader. Here again I was greeted by loud wishes. The boys were waiting upstairs and wished me by singing the ubiquitous birthday song. I was again moved to tears as I realised what a big and loving family I had. It was cake time again and the teachers had even made a piñata filled with confetti. Utpal and Babli were there too, Utpal the perfect master of ceremonies. Time to move on to Okhla. I was still in the scooter when I got a call from Utpal telling me he was going Live on Facebook as the boys had prepared a play for me and were disappointed that I had left so thanks to technology and our whiz kid I saw the play on the way to Okhla. 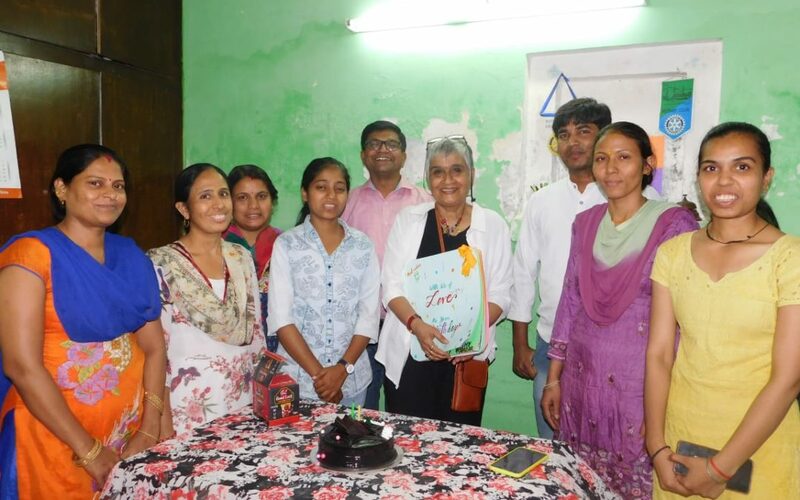 At Okhla there were children waiting to wish me, a birthday card and a gift made i house and lots of love and laughter. I was over the moon. It had been such an unexpected and joyful celebration, one that I would remember in times to come. In the afternoon I was made to tune in to another Live on Facebook and watch the show the Khader girls had organised. I must admit it was a very gratifying experience. The day ended with a small party at home with scrumptious food provide by my dear friend Kabir and more song and merriment. More messages had come by then and I ended the day by replying to all of them. I went to sleep my heart filled with the love I had received throughout the day. I realised how much Project Why had given me over the years: a wonderful team that was more than family, a wonderful network of friends some I had never met but who showered me with so much trust and love, and more than a thousand children who had chosen me to secure their dreams. I felt elated and humbled at the same time and could not help from asking myself what had I done to deserve so much. For the past two decades I’ve been busy, being grateful. Ever since the day I met Manu and was shaken out of the torpor I had allowed myself to sink in after my parents’ demise, I was blessed with abundant miracles that I could not have imagined existed. The biggest one was Project Why. It set me on a journey that was replete with wondrous occurrences, leaving me speechless and filled me with gratitude. Words like Miracles and Angels became commonplace. True, there were a few setbacks along the way but these paled in the wake of the blessings and bounty that came my way. When I decided to give Manu a ‘home’ I had absolutely no idea of how that would pan out. But a miracle was being conjured. I use to buy shoes from a shop in a nearby market and had befriended the lady who owned the shop. I would stop by for a cup of coffee or a cool drink and chat with her. I shared my predicament with her en passant, more as a conversation piece than a plea for help and fell off my chair when she asked me to look for space that she was willing to buy for us. That a little mud jhuggi on the very street Manu roamed was for sale was another miracle. We had our first ‘centre’ and there was no looking back. The shoe lady and Manu had laid the foundations of Project Why. I always wondered if this is what Angels looked like. I lost touch with the shoe lady as her shop soon closed but she remains in my prayers each and every day. As for Manu, his spirit is what gives me the strength to carry on. Miracles and Angels have abounded in Project Why. 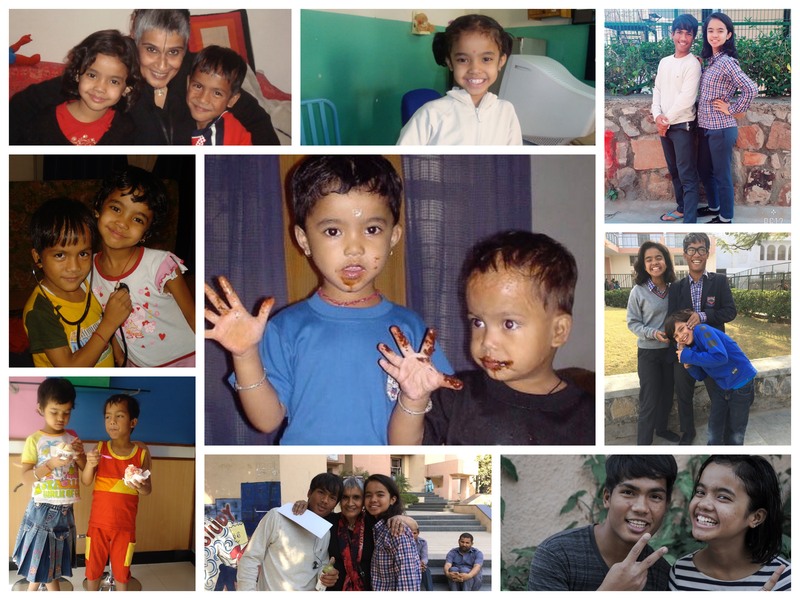 It would take volumes to write about each one of them and many lives to express the extend of my gratitude . 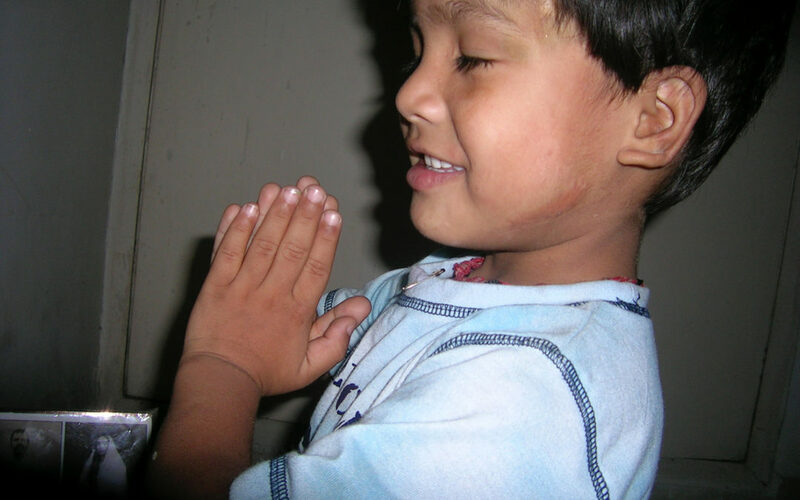 Many of you know Utpal the little fellow who landed in my arms via a boiling wok and became my master in unconditional love. There are all my special needs children who are my never-fail feel-good shot. My amazing team who gave wings to all my dreams, even the most outrageous ones and all the wonderful people who have reached out and given us love and support to make Project Why a reality. What is extraordinary is that many of them have not even seen us and yet they believed in us and gave with abandon. What would you call them but Angels? True they do not have wings but have something more precious: the ability to see with their heart. I am deeply grateful to each one of them. Last week saw yet more miracles. The first one was the success of our fundraiser where 155 souls came forward to help us save our Okhla centre. It was truly overwhelming and humbling. My heartfelt gratitude to each one of them and to Damyanti Biswas who has never stopped believing in us. The second one was a picture sent by one of the teachers that showed the results of the end of year exams. Many of our kids have once again secured top positions in their schools. This has been happening every year and has been the validation of all that we believed in and stood for. 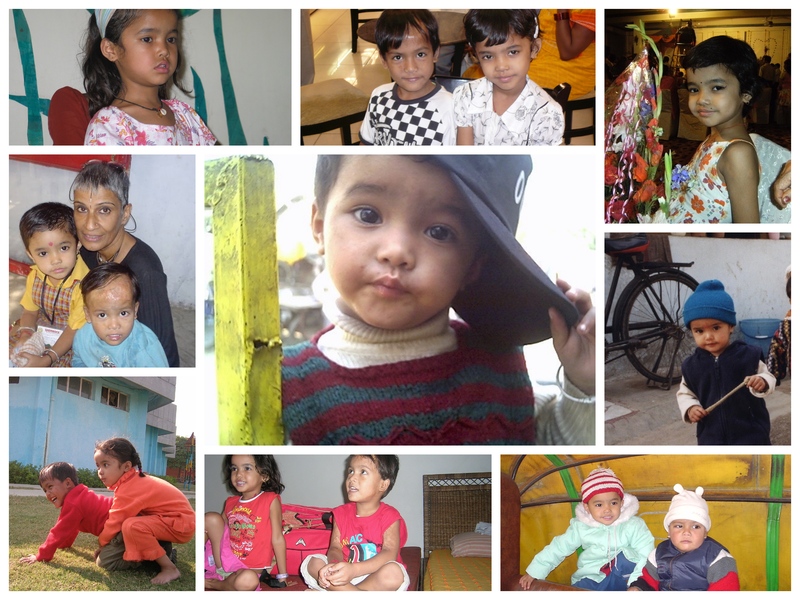 With a little help from our Angels and lots of love, these children can move mountains. So here I am, busy being grateful! If you’re ever in Delhi, please visit us for a chat and a cup of tea. We love visitors, and teachers and children at our centres are friendly and enthusiastic hosts. A few weeks back we launched a fundraiser to help four teachers of Project Why save their school from closing. This school has an incredible story. 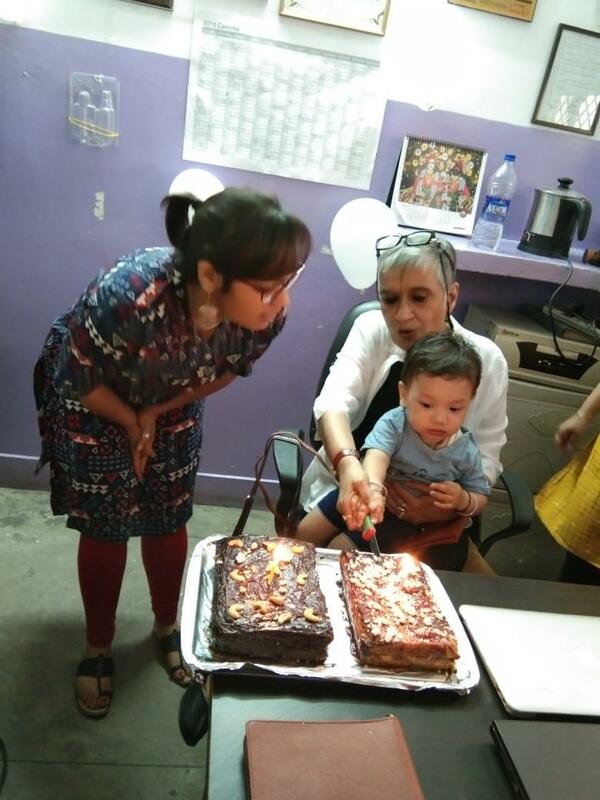 It was set up more than 15 years ago by two incredible women Pushpa and Sophiya to help children who were being abused by predators, looking for hands to steal and push drugs. These children were from an industrial area bereft of any school and were left to their own devices by parents too busy surviving. The catch was, that in this area, there was no place to start a centre as barring factories and tiny settlements in empty spaces there was no space that could be used. This did not deter our formidable duo and they found a space that was a garbage dump. Where others saw squalor and filth, they could see a school and hope. It took their determination and a few trucks of mud to reclaim a space large enough to start a school under a plastic sheet held by four bamboo poles. There was no looking back. 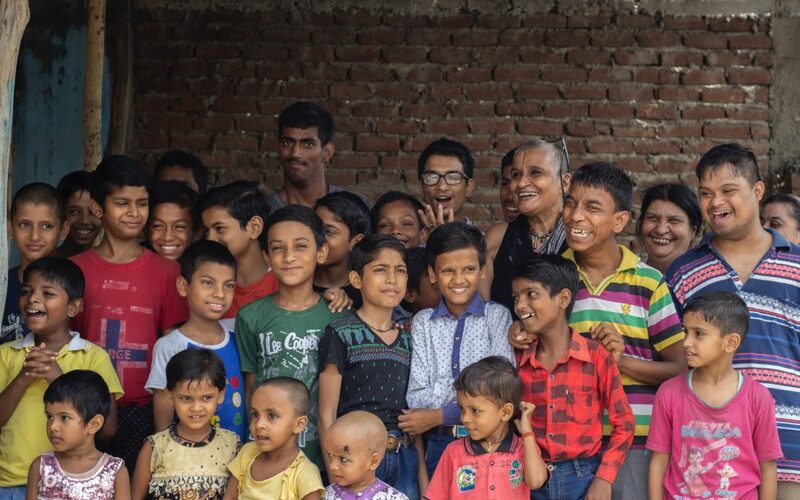 Today over 350 children come to our Okhla Centre where classes from I to XII are held and many have graduated and gone on to take their place in the sun. Along the way a computer centre run by incredible Mithu was set up to ensure that the children have IT skills. The secondary section is spearheaded by Naresh who has the ability to turn failures into toppers! It is a win-win situation. Today this school has lost its main funder and is at risk of closing down. To keep it open and give us time to find a long term solution, it is critical that we are able to pay the salaries of our staff for the next few months and that is why we launched this fundraising campaign. We are nearing the end of the campaign and have managed to raise the funds. This was made possible by the wonderful way in which old and new friends came together and reached out with their support. The magic of the Internet allowed us to reconnect with many old friends and supporters and I am so touched by how each and everyone responded with so much love and generosity. What was also overwhelming was the number of new friends we made during this campaign. 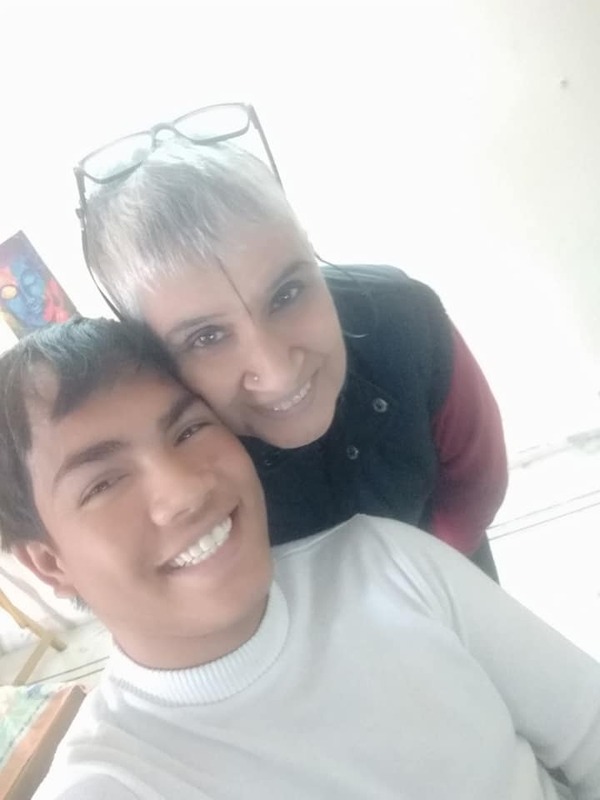 With help from our dear friend Damyanti Biswas, we were able to organise a Blogathon that helped us reach out to more people and I was touched beyond words by those who blogged for our cause, and shared the campaign on their networks allowing us to reach out to a wider audience. Many of them contributed generously to our cause and thanks to each one of them our Okhla school may get the breather it so needs. With the help of old and new friends we have been able to do what may have seemed impossible: Save our Okhla School. I have no words to express my gratitude. 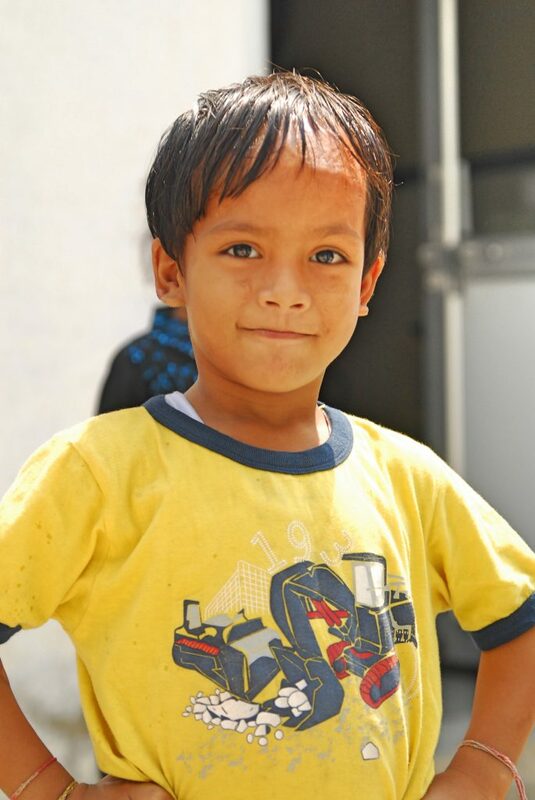 The fundraiser closes in 2 days, but anything extra raised will go to Our Okhla Centre. 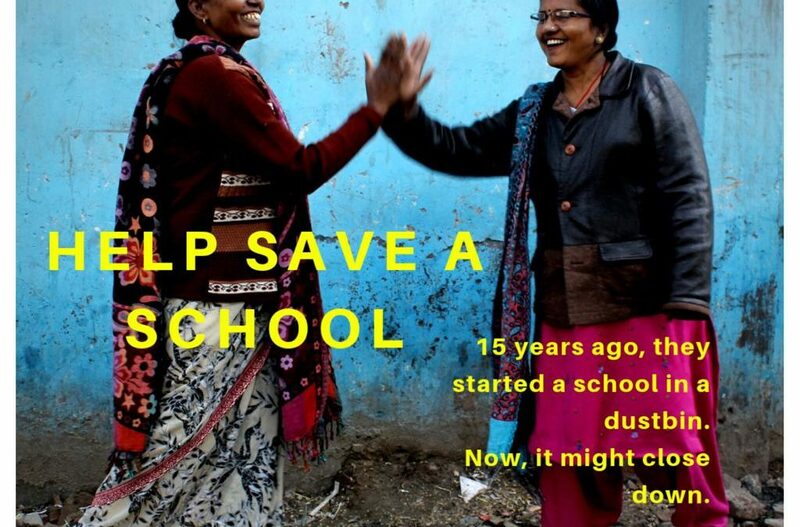 CLICK HERE to support the Project Why #HelpMithuSaveSchool Fundraiser. For tax-exempted donations from the USA, please CLICK HERE. Since 2000 projectWHY has been changing futures, one life at a time. Come join the projectWHY family! 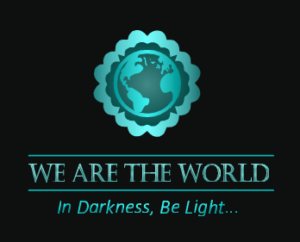 #WATWB: JOIN US THE LAST FRIDAY OF EACH MONTH!